Telfa Ouchless Non Adherent Dressing Pads from HealthyKin.com won't disrupt healing tissue by sticking to wound. They are ideal as a primary dressing for lightly draining wounds. Telfa Non-Adherent Pads are an ideal take home dressing. 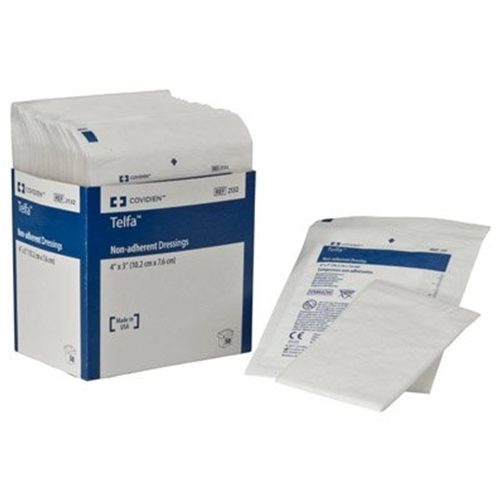 These hard to find 8 x 10 Telfa pads are a necessity for large wound care. Healthykin provides excellent service. I have used these pads over the last few years with great success. I will continue to purchase them from Healthykin. Helps to keep gels on wound while absorbing exudate. Painless removal is a welcome relief compared to non-woven/woven dressings. Product. And price are good .